The GRC-206 Program Pacer Speak is a collection of radios used for Forward Air Control. 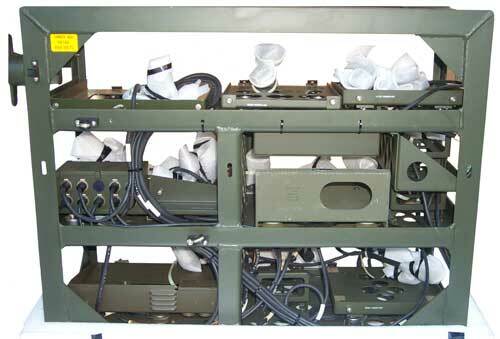 This rack holds the radios and related equipment in a size that's compact and fits a HMMWV or other military vehicles. I cut the pallet that it was shipped on in half, leaving the center 2x4. This keeps it up off the concrete floor and makes it a little higher for ease of access. When the GRC-206 is mounted in the M998 HMMWV it's called the MRC-144. The system draws up to 1500 Watts at 24 VDC or 63 Amps. The MEP-802 diesel gen set is only rated to supply 16 Amps from it's NATO slave battery charging connector, but is rated for 5,000 Watts on the 60 Hz AC output. The implication is that the M455-1 can convert the AC into 24 VDC to power the system. The connector pins on the M455-1 are not as large as the input connectors on the SB-4151 but many of them are connected in parallel to carry high currents. Makes the case that when the FAC is within eye sight of the target the precision weapons work so well that ground forces are not needed. The frame is 40" wide x 32" tall x 16" deep. The first four versions were designed at the start. (V)1 and (V)3 have crypto and (V)2 and (V)4 do not have crypto. 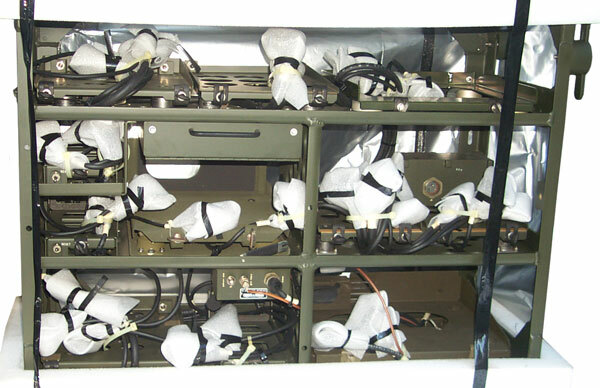 The GRC-206 system specific boxes were designed to allow for optional crypto and/or Have Quick operation.
? 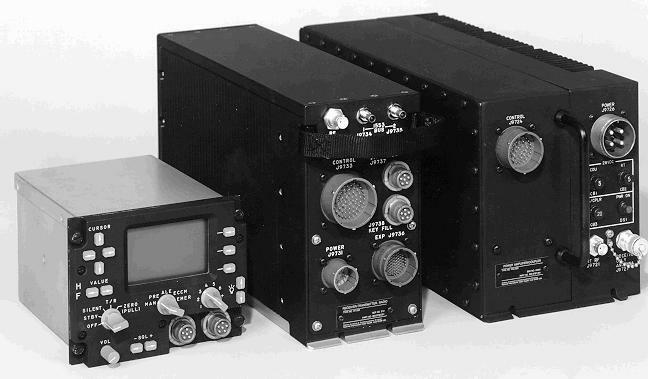 The URC-113A uses the RT-1444A which has ALE capability. But the AM-7148 does not look like it can handle ALE, hence the need for the PRC-138. 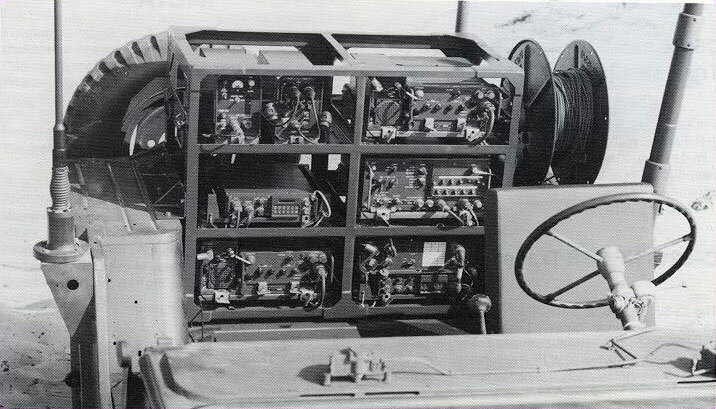 (V)3 systems were converted into (V)5 systems in Texas by replacing the VRC-12 radio with SINCGARS radios and replacing the BITE/Audio Interface box. 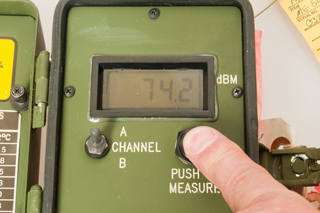 The manuals for (V)5 and (V)6 show the same BITE/Audio Interface box and so far do not show how the remote can select the VHF-FM channel. This would replace the HF power amp with he Harris 150 Watt RF5800 amp and the 5328 Coupler. A UHF SATCOM antenna is included in this RFQ so the Diplexer may be related, but how with an HF radio? 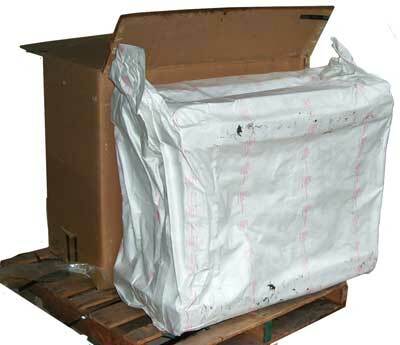 10181-9824-025 C. Assembly PA/RF-382 Cplr. GRC-206(V)1. 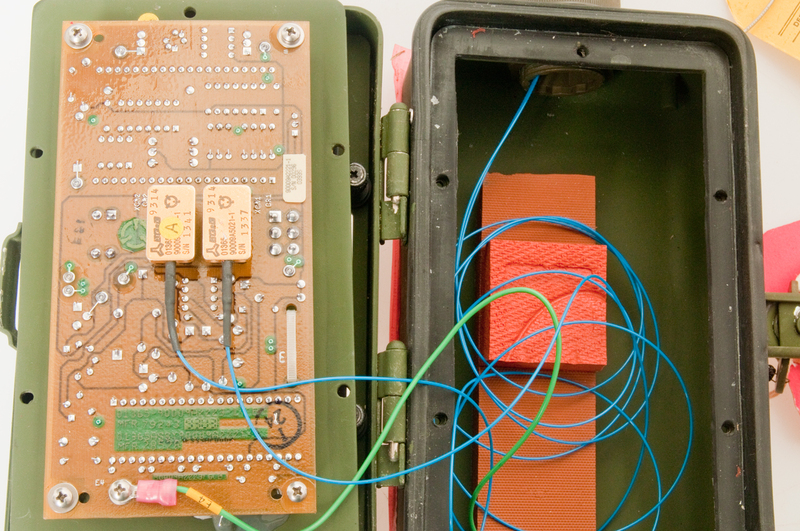 Includes provisions for user-supplied COMSEC devices. GRC-206(V)2. Does not include these provisions, but space is available for other user-selected components. GRC-206(V)3. 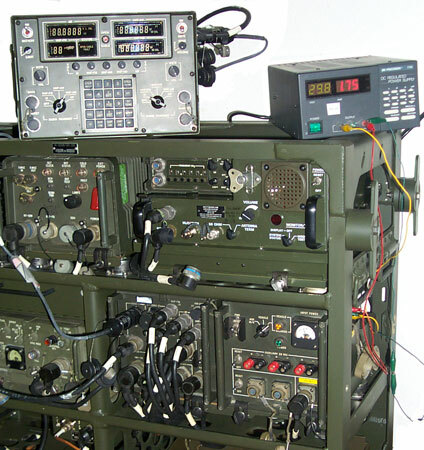 Is identical to the (V)1 except that electronic counter-countermeasures (ECCM) are pro­vided within the UHF radio set. GRC-204(V)4. 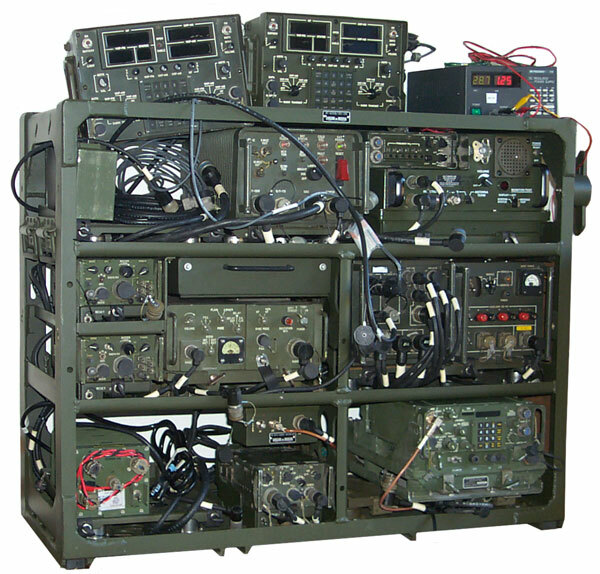 Combined with the Meteorological Measuring System and ancillary equipment, this model is installed in a HMMWV to form the TSQ-198 Tactical Terminal Control System (TTCS) for the US Army. PSN-11 GPS capability is also provided. GRC-206(V)5. 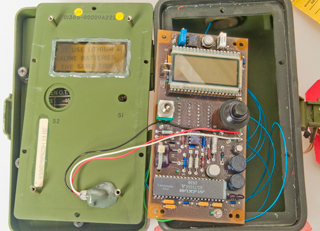 Modifies the (V)3 to incorporate the SINCGARS radio and the USC-43(V) Advanced Narrowband Digital Voice Terminal (ANDVT). Built-In Test (BIT) functions were also enhanced. GRC-206(V) P3I. As part of preplanned product im­provements, the GRC-203(V) can accommodate a PSC‑5 enhanced man-pack UHF transceiver, either as an addition or by replacing an existing component (such as the RT-1319). Improvements include UHF/FM SATCOM and DAMA, 8.3 kHz channel spacing in VHF/AM for ICAO air traffic control in Europe, TDMA in VHF/AM for US civil (Federal Aviation Administration) air traffic control, SATURN ECCM in UHF/AM for NATO, expansion of the UHF band to 512 MHz for civil command and control, and video compression imagery. The AN/ARC-220(V) and its ground version, the AN/VRC-100(V) will replace the AN/ARC-199(V) and AN/VRC-86(V) respectively. Secure communications will be achieved through the use of the KY-100 Crypto Set. 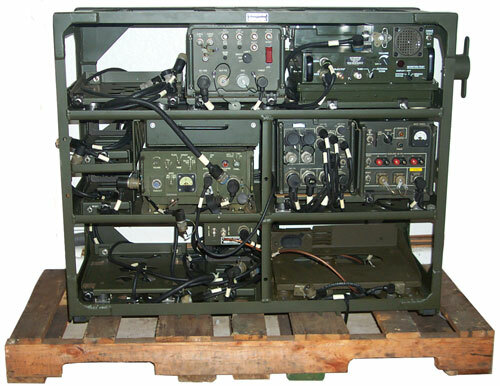 The AN/ARC-220(V)1 consists of three line replaceable units; a Receiver-Transmitter (RT), a Power Amplifier Coupler (PAC), and Control Display Unit (CDU). The AN/ARC-220(V)2 is for bussed (1553) aircraft and consists of just the RT and PAC. 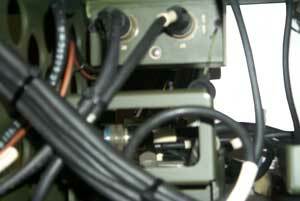 The AN/VRC-100(V)1 consists of the three LRU's housed in a metal casing along with a power supply and speaker. The AN/VRC-100(V)2 is the AN/VRC-100(V)1 mounted on a HMMWV along with associated brackets and antennas. The AN/VRC-100(V)3 is for Echelons Above Corps and consists of the AN/VRC-100(V)1 with the AS-3791/G Broadband Antenna. The standard four foot square pallet gives some idea of size. In the photo at left it can be seen that the MT-6250B rack comes with all the equipment mounts and a lot of the system cabling. Lower Right: VHF-FM: 4 conn.
At the middle elevation left side is a box that connects to the back of the Power Distribution Unit (PDU) and has vehicle DC power cables for each of the system boxes. 37 7/8" wide x 16 1/8" deep x 30 3/8" hi. There are two folding handles on the left side and two more on the right side. I think that's for four men to each have a handle if the rack was loaded, or a two man carry empty. The two man empty carry is because of bulk more than weight. 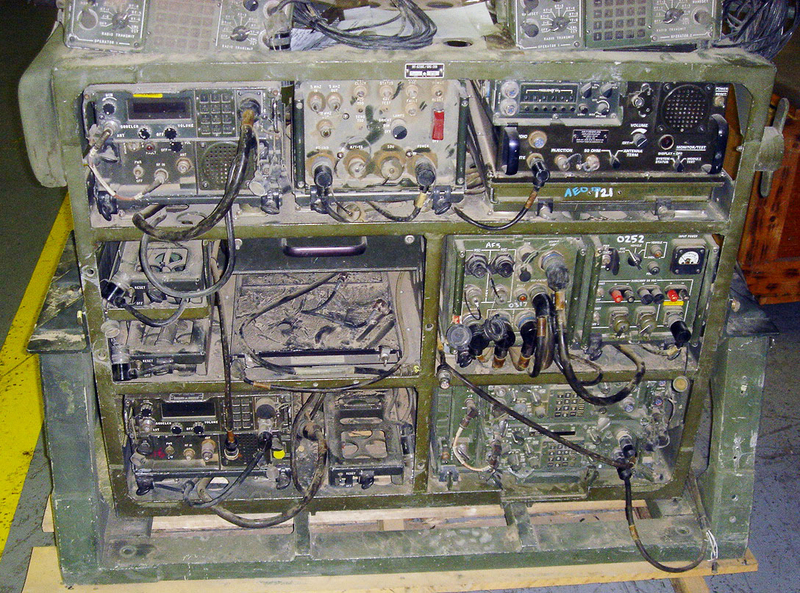 The HF radio sits in the upper left corner of this back view. There is a cable clamp on the back of the rack just below where the AM-7148 power cable connects (just above the PDU location). The box at the left center is behind the SB-4151 PDU and the cables out the back are the DC power cables feeding most of the rack equipment. The exception is the front panel cable to the RFO. Mike Murphy has these as New Old Stock (Sep 2009). 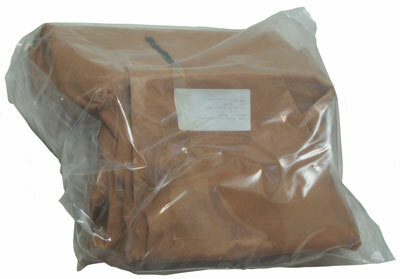 The brown paper is special anti-corrosion treated. There are two rows of 0.36" wide mounting slots. Three slots per row. The rows are 4.00" center to center. the remote in order to change the batteries. The rectangular hole in the mounting plate clears the passenger side dash mounted grab handle in the M151 Jeep. There are two Remotes, but only one FO cable so the second one can not be connected. The Power Supply is maintaining the Cyclon back up batteries inside the RFO. The green lamp above the power switch is on and the third lamp to it's left (under the cable) is Red indicating SET CLOCK. 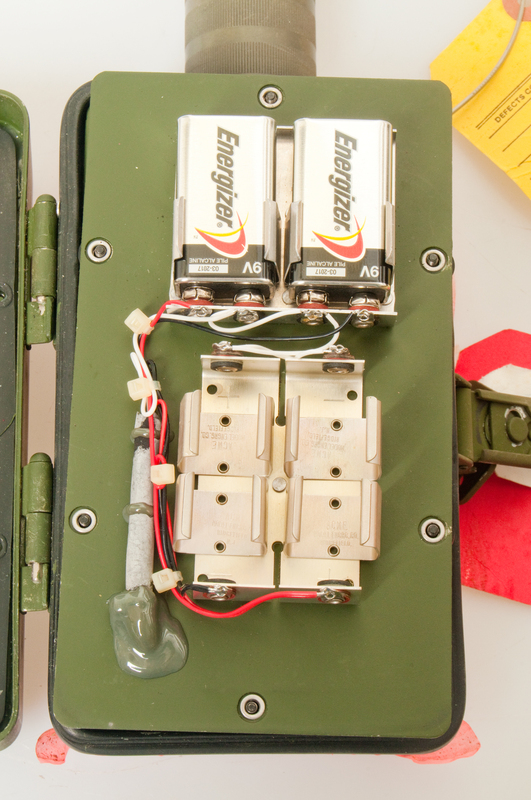 Two HYP-57 Wire Line Adapters are filling the KY-57 slots for the aircraft radios. Upper left has a couple of battery boxes from the HYP-57s, too long to leave on. KY-57 filling the slot for the VHF-FM radio. 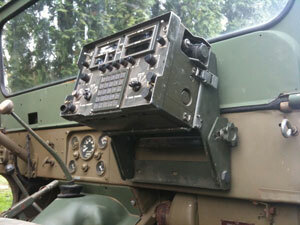 SINCGARS VRC-87 sitting in the VHF-FM radio slot, but it will not operate unless the MT-1029 is removed. But the AM-2060 with a PRC-77 would fit the MT-1029 and you could connect the BITE/Audio Interface and the audio so the remote would work with it. Although there is only one channel. The M455-1 is just sitting at the lower left corner. It's a little shorter than the RT-1319. 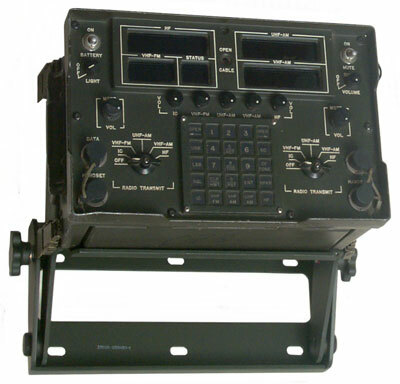 The FM Bite box marking AS-1729 suggests that this rack was designed to hold a VRC-12 series radio instead of a SINCGARS radio. Also the mount in the lower right corner looks like the MT-1029 which would hold a VRC-12 series receiver like the RT-524 w/speaker or RT-246 with 10 remote controled channels. There is no J-3513 in the MT-1029 like in normal VRC-12 series radios with the KY-57 so it's function must be done in the BITE/Audio Interface. It's looking like the RT-246 that has 10 channels that can be selected remotely is what went into this rack. That means that the SDU and/or BITE/Audio Interface contain circuitry that allows serial control (since it must be done over the fiber optic link) of the channel. This serial protocol may match the SINCGARS serial channel selection protocol? Why the BITE/Audio Interface has the VHF-FM antenna connection is also a mystery. 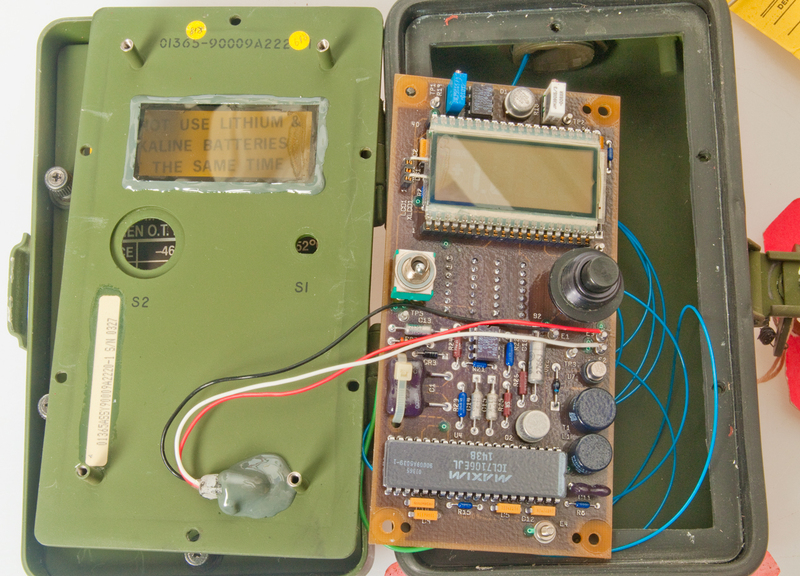 In a crypto system the handset is connected to the KY-57 and so the PTT for the radio comes from the KY-57, through the BAI box then to the radio. When no crypto the VHF-FM audio cable from the SDU is connected to the Retransmission connector on the radio. There is no connection to the radio AUDIO connector in the system. The RT-246 or RT-524 has the internal crypto switch left in the plain text position for both unsecured and secured coms. When the BAI box is connected to the radio it makes the same connection that the internal switch would have made. That way it's easy to unplug the BITE box to get back to plain text transmissions without opening up the radio. The BAI replaces the J-3513 and by sampling the RF during Tx generates a bit of BITE. System versions (V)1 through (V)4 were powered by the MEP-025A 1.5 kw gas DC generator. It weighs 121 pounds dry. Later versions use the MEP-802A 5 kw 60 Hz AC diesel generator skid mounted tatical quiet It weight 800 pounds dry. Since the DC output from this generator intended for battery charging can not supply enough current for the GRC-206 system an inverter is needed. The M455-1 accepts either DC or AC inputs and provides 28 VDC output as one of it's outputs. But the connector contacts look too small for the 50 Amps needed by the GRC-206. So it's not clear how the MEP-802A can power the GRC-206? 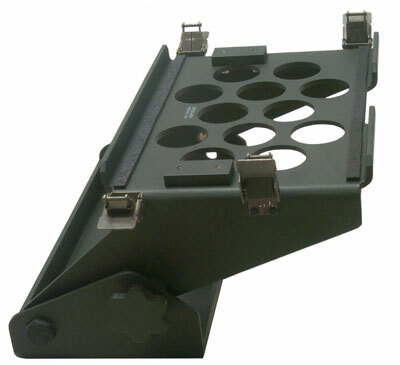 System versions (V)1 through (V)4 were intended for mounting on either the M151 Jeep, M113 Armored Personel Carrier. The MT-6250 is 38" wide at the bottom 9excluding the ears at the top) and just fits between the rear wheel wells in the M151 Jeep. The Remote Mount bracket is designed to go over the passenger dash mounted grab handle. The Generator and it's fuel tank would be on the 1/4 Ton M-416 trailer. 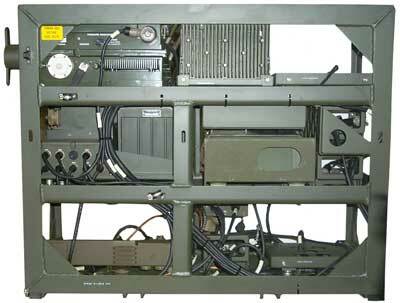 This appears to be a custom rack(not the MT-6250) and uses radios made in Israel. Later systems are typically mounted on the M998 HMMWV. The main input connectors has a 24-22 Insert and pins that are 0.144" diameter. The cap is marked 8544 Cannon CA121003-908. Pin A is +24 Volts and pins B & C are ground. Maybe pin D is also hot? That way the two top pins would be hot and the bottom pins ground. When 30 volts is applied to A and D the RFO receives power no matter how the SB-4151 switches are set. Notice that J3 is not in the box with the lower switch, J1 & J2, i.e. it's hot all the time. But the green power light does not turn on when the mode switch is at M-G or Vehicle, but only in Vehicle Override as shown at left. The power connector on the back of the AM-7148 is only hot when in the Vehicle Override position. The input voltage in the photo is 29.8 yet the voltmeter on the PDU is reading about 20. When the mode is switched from Vehicle Override to Vehicle the green lamp slowly (maybe 5 seconds) dies out like there was a big capacitor discharging. Maybe this PDU is defective? The row of aux pwr banana jacks are switched on or off independent of the Master reset switch. Jacks J1 & J2 switch on or off independent of the master power switch. The current on the power supply is caused by charging the batteries in the RFO. 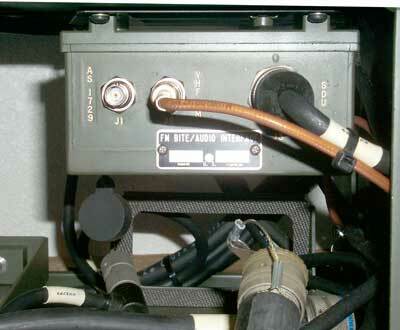 The RT-1444 is not yet installed so the remote control cable is laying in front of the AM-7148. The RT-1209 is installed. But when the mode switch is set to STATUS or MODULE TEST nothing happens, as if it was not getting any power. Both the PWR and FO cables are connected, and there's one internal battery, but when the BATTERY switch is turned ON the red lamp comes on, the fault tone is heard and the status display shows Cable Fault. It's as if it was not working. After opening up the SB-4151 it was discovered that J4 the Vehicle input jack MUST have pin D grounded in order for the contactor in the SB-4151 to actuate turning on the system. Once that's done then the AM-7148 does the module test and the Remote no longer shows the cable fault error. Also the remote allows keyboard entries, like setting a frequency, but since there's no radios now connected gives an error beep when you try to enter the frequency. 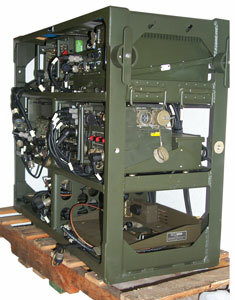 The RT-1319 is in the upper left UHF AM military air band position. But the RF amp is still missing. 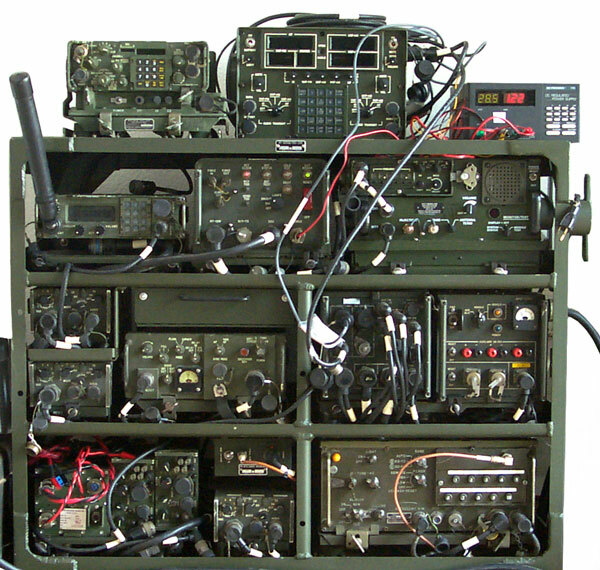 The RT-246 is in the lower right VHF FM military ground and air position. All three KY-57 slots have been filled, but need to add internal jumpers to pass clear text. The M455-1 needs some unknown front panel jumper or wiring to get it to turn on. Have a linear power supply that should be able to power one radio and cable with plug to fit SB-4151. I bought this in the hope that it would work with the dual fiber optic cables in the GRC-206, but the dual fiber optic connector is larger than for the GRC-206 and is for the GSM-317 Test Set. The other part of the test set is the T-1514/GSM-317 Optical Transmitter. (see: TM 2000-OD/2C) But here's some photographs of it. Shown with GRC-206 remote FO cable connector. One or both of the center FO receiver ICs are bad. 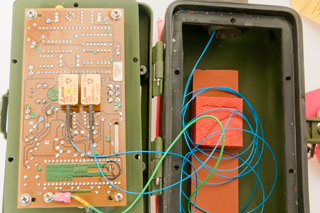 There are three versions of the RT-1319, the first did not use "Have Quick", the second used the first version of Have Quick and the third used Have Quick II. 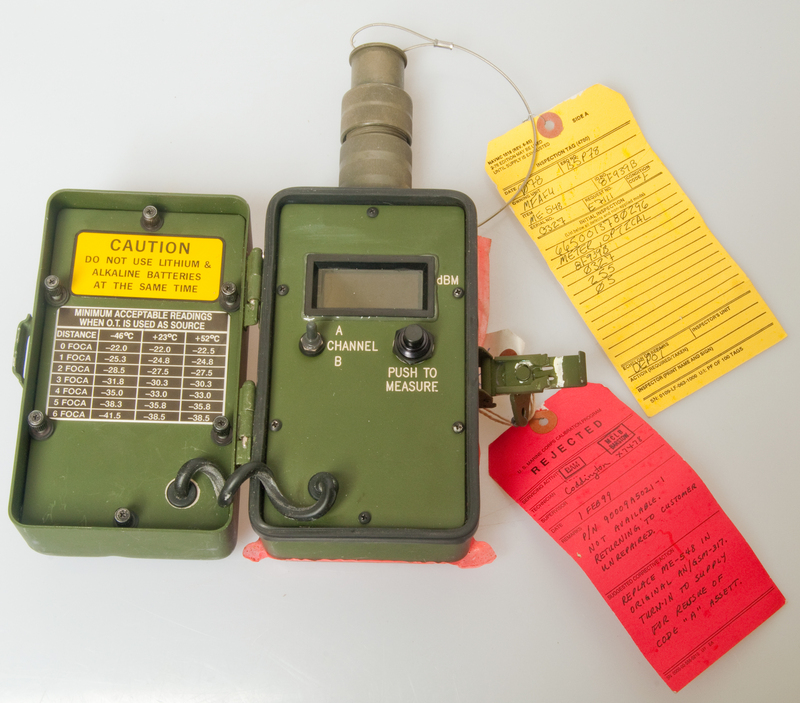 The RFO is in this system specifically to supply the RT-1319 with TOD for Have Quick, so this system uses either of the Have Quick versions of the radio. EMCU 116 12 VDC Input 24 VDC Output - The pins on this supply are the same size as the GRC-206 input pins and so may be more suitable to power it. PP-6224 only 30 Amps at up to 30 Volts, maybe enough to run one radio and the rest of the system. J-4024/U GRC-206 Interconnecting Box - Allows connecting a DLED ((Dedicated Loop Encryption Device) to either of 2 transmitters and either of 2 receivers and TTY machines. Model 1040 ALE Modem - RT-1444A - ALE version of remote adapter RT-1444. Used in the GRC-206(V), URC-113A. Only provides ALE when used with the GRC-206(V), not front panel ALE. A Close Call - "Airmen like Senior Airman Courtney Hinson, a terminal attack controller, are entrusted with an MRC-144 weapons system — a half-million dollars in communications equipment housed within a Humvee. As part of the 18th Air Support Operations Group, supporting 18th Airborne Corps, Hinson and his comrades are responsible for keeping their systems and the mission running. And testing frequencies is part of knowing the system." page created 25 Dec 2008.